V-neck Taekwondo Gi or Uniforms. Tae Kwon Do (also spelled Taekwondo and abbreviated TKD) is the most popular Korean martial art and an event in the Olympic Games. It literally means "foot hand way." Traditional Tae Kwon Do practitioners typically wear a V-neck uniform. 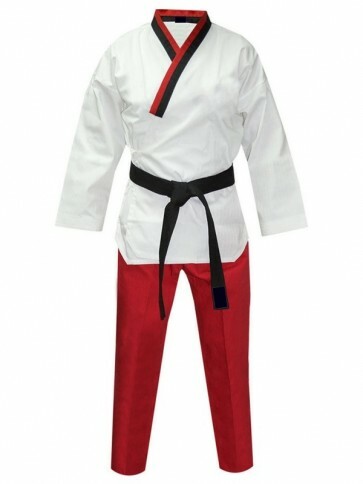 We offer an assortment of grades and colors for today's Tae Kwon Do practitioners. You can get our classic Tae Kwon Do white uniforms in several weights and styles.